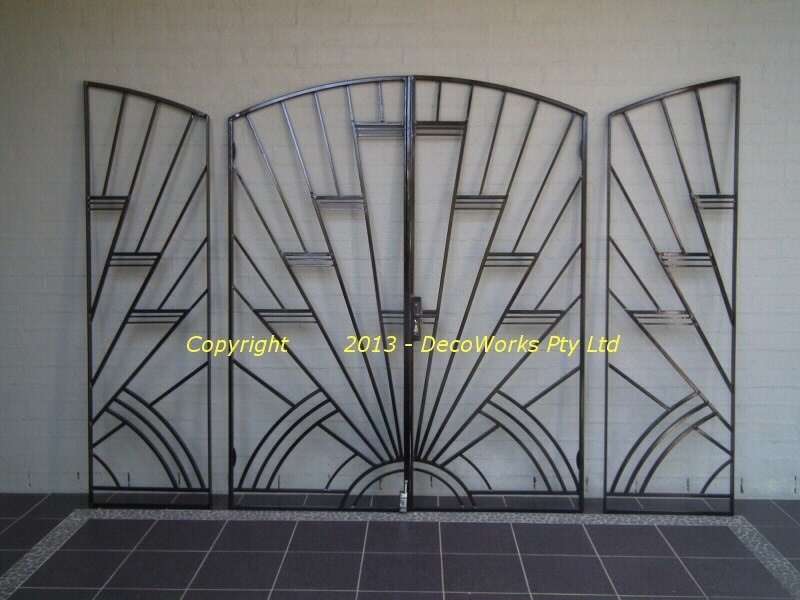 The Regent Art Deco security doors design is similar to the Plaza design except the top diamond fan motif has been replaced with three thin horizontal bars. The radial vertical rays converge to several concentric arcs on the bottom of the doors. 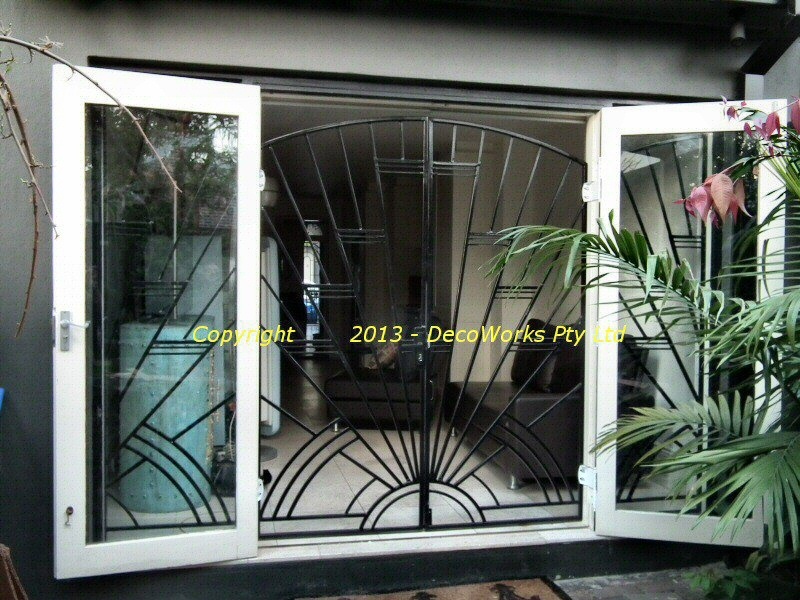 This installation was unusual in that the Regent Art Deco security doors were fitted on the inside of a set of double doors which opened out onto a rear courtyard. 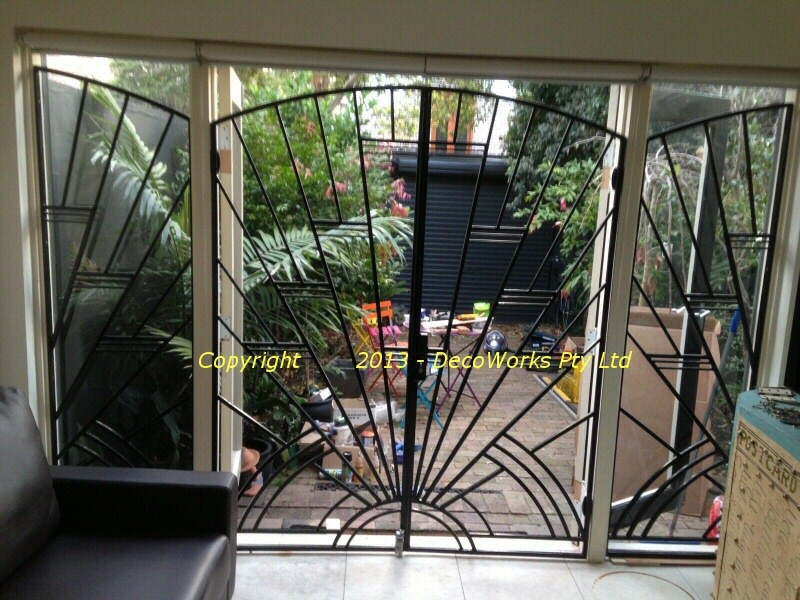 The client wanted to be able to have the courtyard doors open while being able to keep the security doors closed and locked. 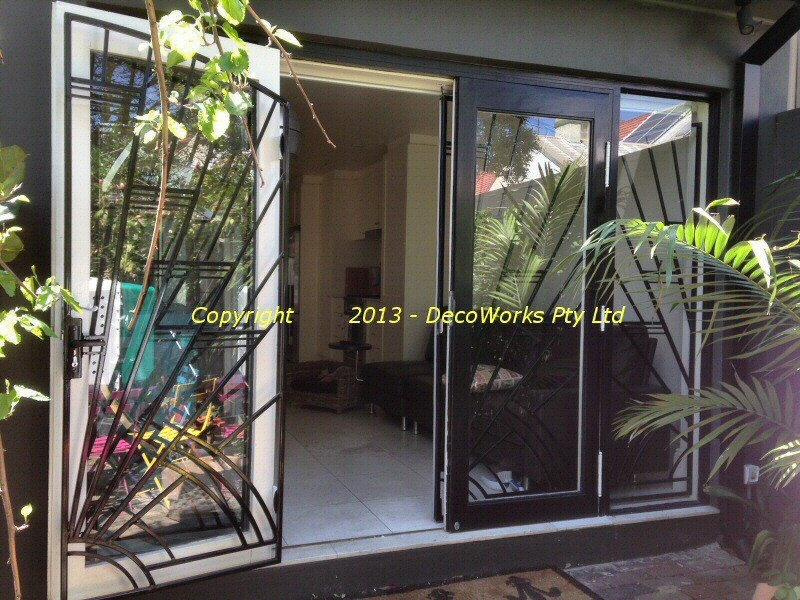 The two full height side windows on either side of the courtyard doors were also fitted with security bars with the same design as the central doors. 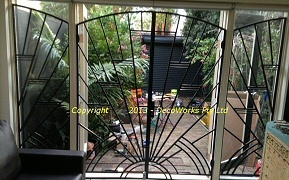 These were also fitted on the inside of the windows to match the security doors. Instead of a rectangular security door the Regent has a gently curved arch incorporated into the top of the door frame to give it a lighter and more open feel. 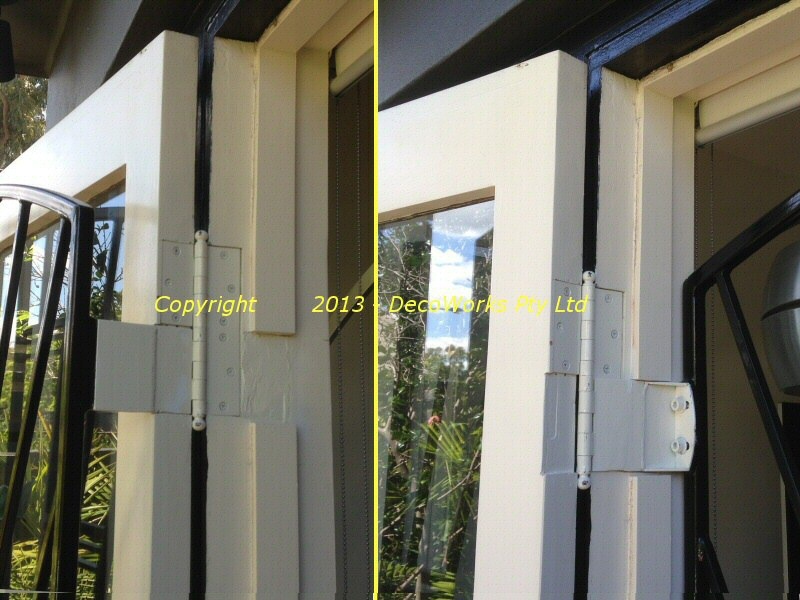 Special jigs were constructed to enable the courtyard doors and frame to be routed to accommodate the new hinges. 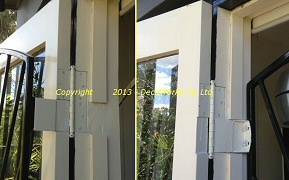 A lock bolt secures one side of the security door to allow the other to lock shut. 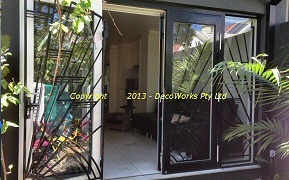 Security door opened and latched to courtyard door. 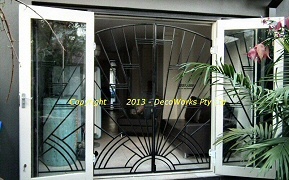 Silhouette of the Regent security doors from the kitchen.